The obvious solution to finding what you need without pulling everything out of the cupboard. These racks are so useful. 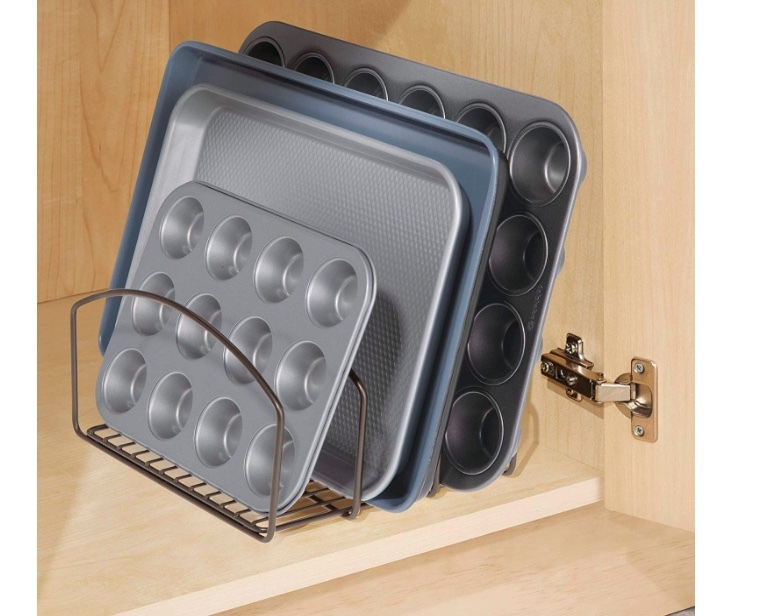 Look how easily you can see what you have and how accessible the pans are stacked vertically. You can also stack chopping boards in the same way. Check this stacker here.